Why Is Supplier Evaluation So Important? Many companies now purchase important components for their electronic systems from overseas suppliers. There are obvious price and supply advantages to doing this. However, there are also risks. A prime example of this is AC/DC power supplies. On the surface, the selection process is simple—find a product that provides the correct voltage and current from a supplier you know. 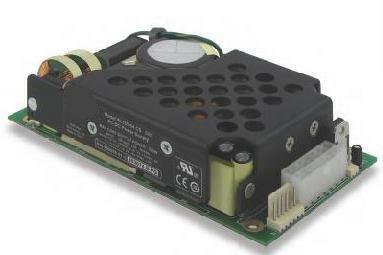 However, AC/DC power supplies are often the least reliable component in a system. This is because they almost always operate right at the thermal limit of certain components in order to get the most performance out for a given cost. Components operated at their thermal limit tend to fail more often, causing a failure of the entire system. To protect against failures, or damage to the whole system, the system designers might include thermal shutdown protection or over current or over power protection. Or in the case of some supplies, nothing at all. The market offers some well designed power supplies that reliably manage heat and provide protection for the supply and the system it is installed in. It is not obvious by looking at a supply which kind it is and you can’t always assume that because you are paying more, that is what you are getting. Understanding how these tradeoffs are made is important to the system you are designing. Because some of our customers don’t have the bandwidth or expertise to test these supplies we often will do a head to head comparison between two supplies to find the most cost effective (and safe) solution for them. The most cost effective solution might be a slightly more expensive supply that doesn’t fail in the field or cause the system it is installed in to unexpectedly shutdown.